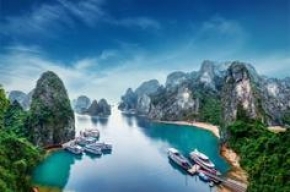 The culturally inclined would have a feast to all senses with this fully encompassing cultural tour in Vietnam. Throughout the journey, you get to be romantically inclined with your partner as you cruise out to swim at islands, dine and celebrate. Have an amazing retreat for the following days immersing yourself in the lifestyle and culture of villagers and surprise your senses the Vietnamese ways.